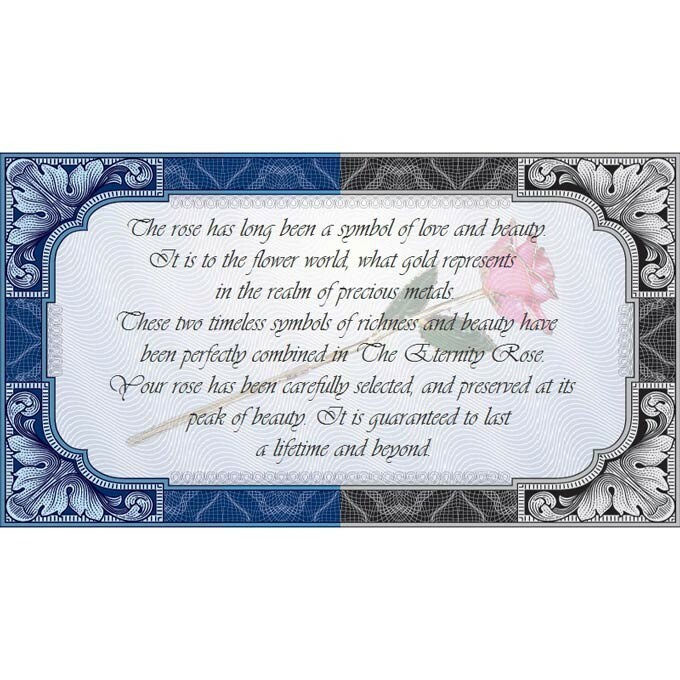 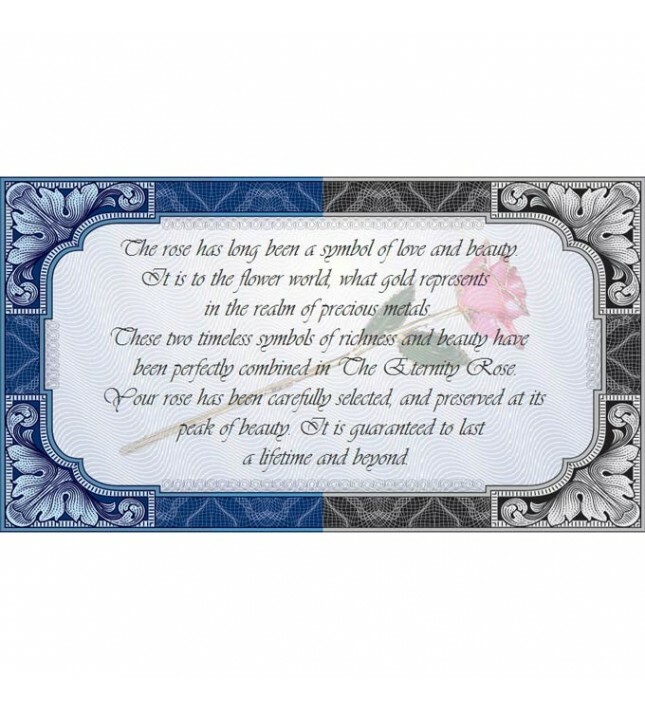 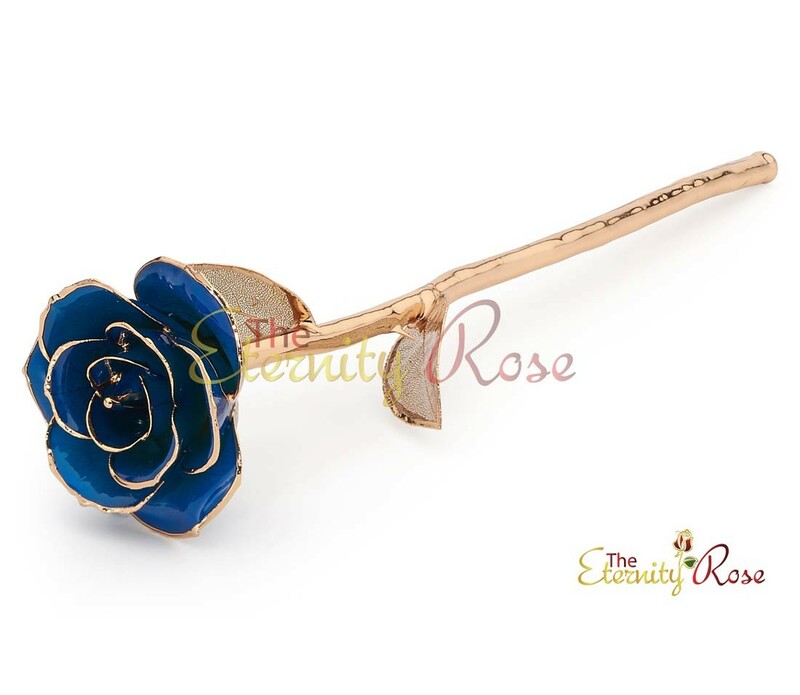 This is a natural blue rose, plucked at the height of its perfection. 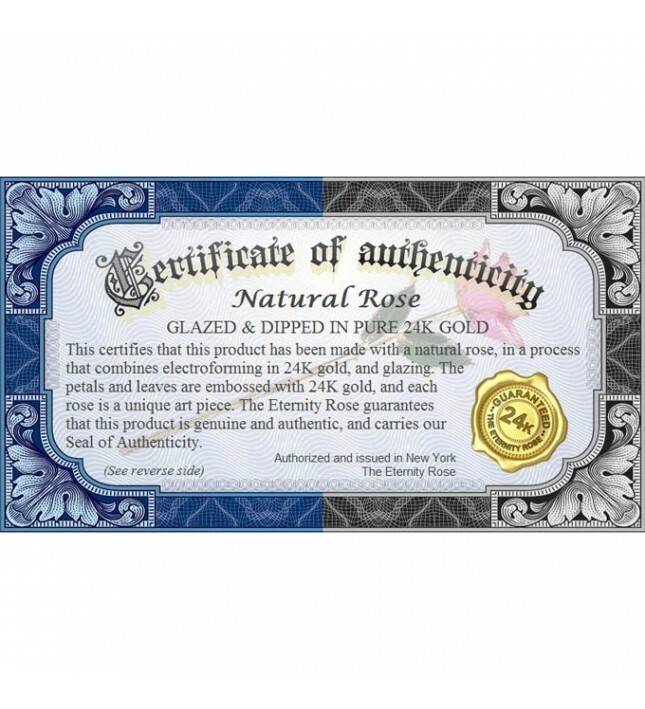 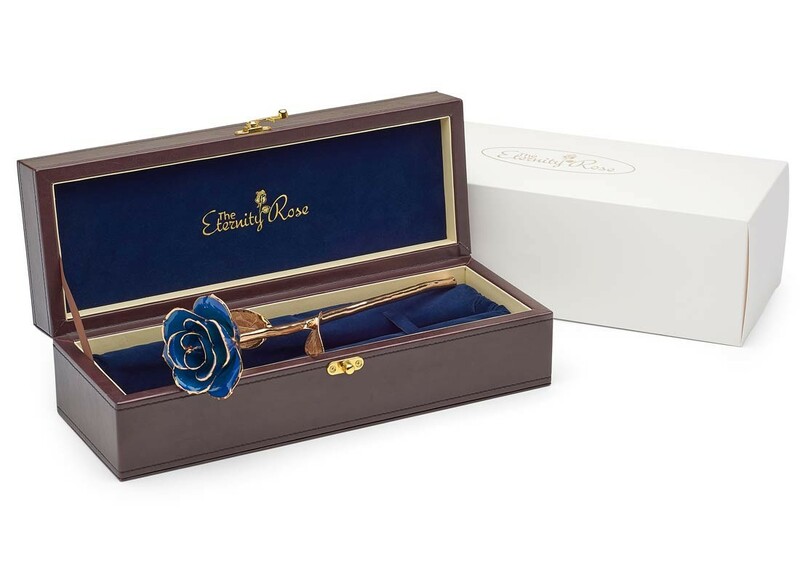 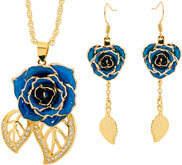 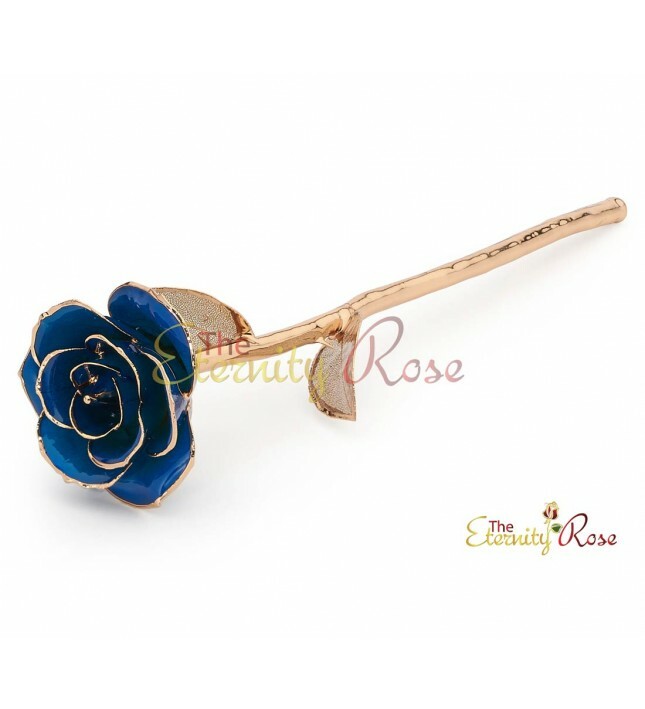 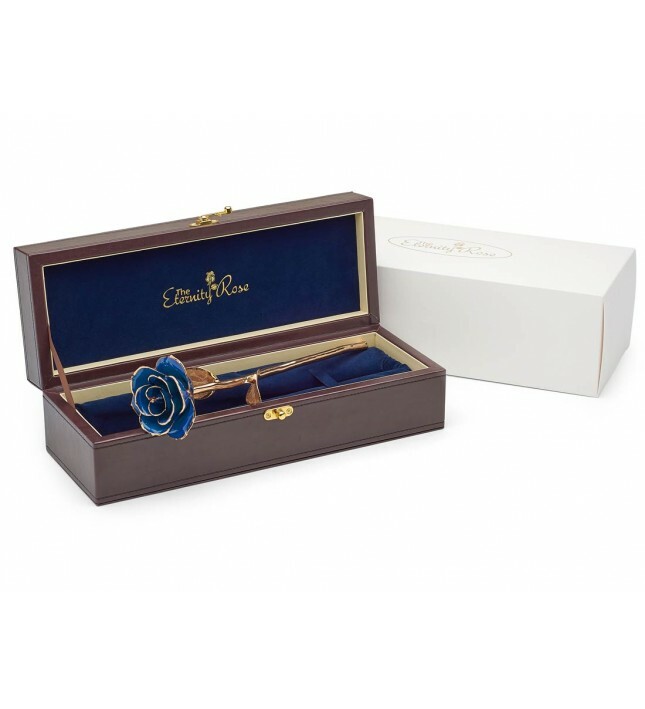 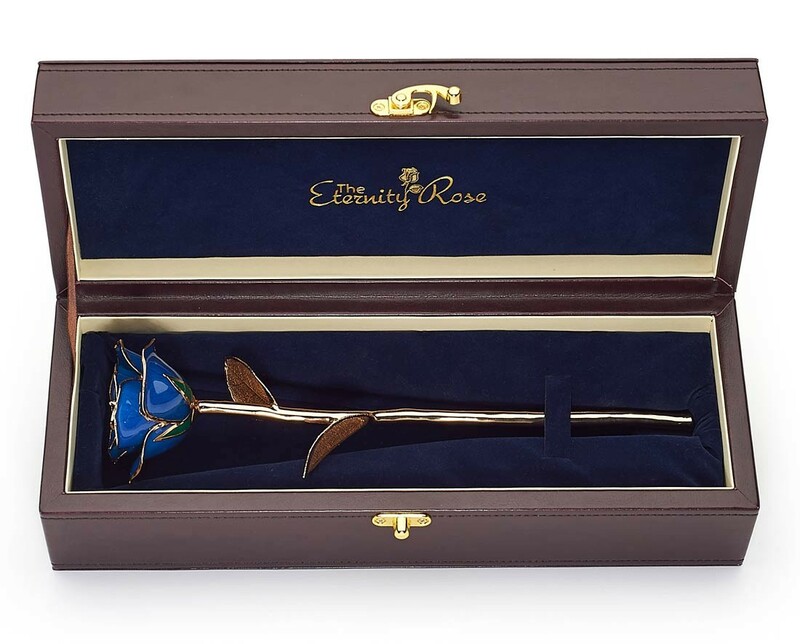 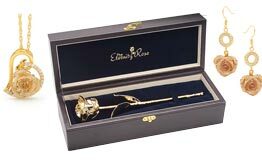 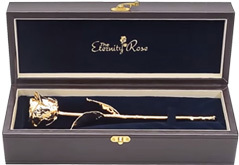 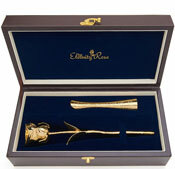 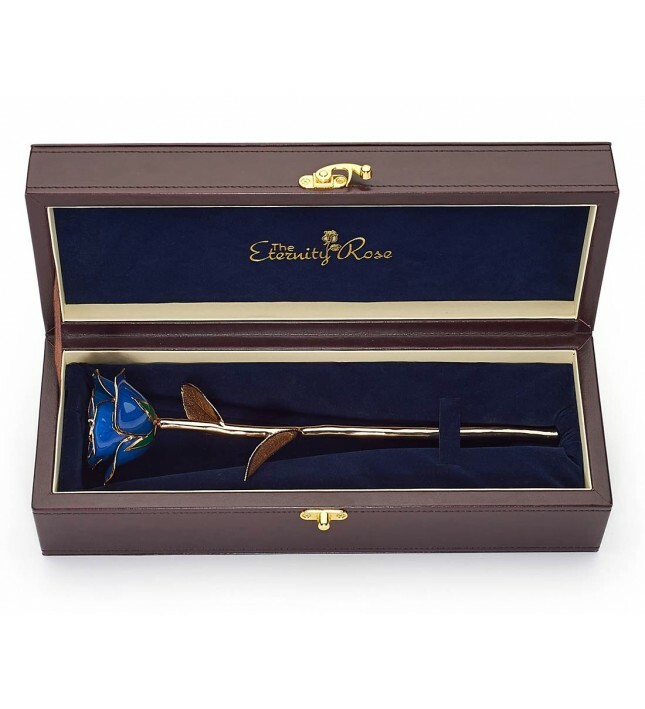 As part of our Eternity Rose collection, we present this gorgeous work of art which has been created by electroforming a natural blue rose with 24 karat gold, and then covering the leaves and petals in a radiant glaze. 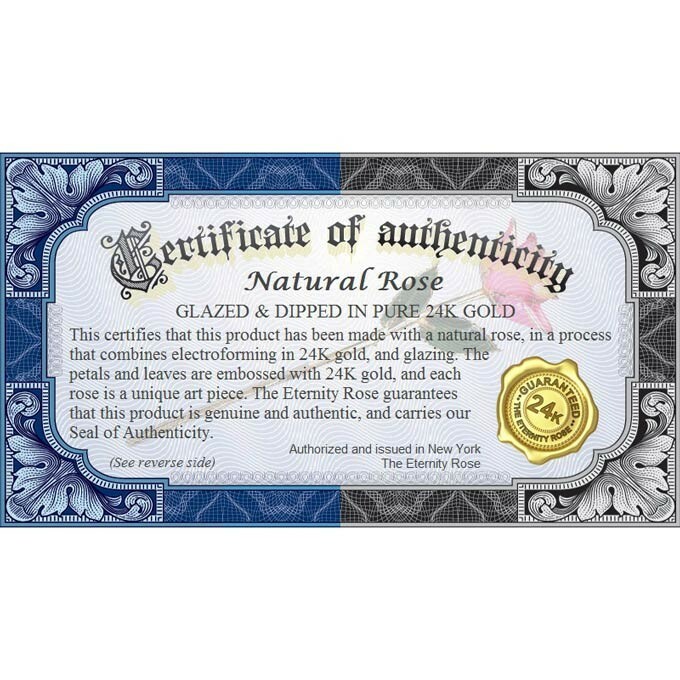 The leaves are treated in a way that dissolves the green tissue, and leaves the underlying leaf structure. 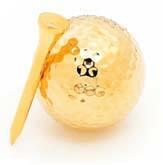 This reveals a beautiful lattice framework which we coat with 24k gold and then glaze.